KFF Market, workshops, presentations, pitchings, panel discussions, networking meetings, special screenings. These and many other interesting events filled the industry section of this year's Krakow Film Festival. KFF Industry is the part of Krakow Film Festival, dedicated to film industry professionals, within the frames of which the following events are held every year: KFF Market, the pitchings Animated in Poland, Docs To Start, Docs To Go!, DOC LAB POLAND Co-Production Market, KFF Industry Meetings, the screenings Docs to Buy and many others. This year's edition of KFF Industry also offered the guests of the festival professional workshops and discussion panels. In addition, the Focus on Estonia Conference was held in cooperation with the Krakow Technology Park. All events of KFF INDUSTRY were held betweeen the 28th of May and the 1st of June. The vast majority of them took place in Małopolski Ogród Sztuki, which was simultaneously the Festival Centre. KFF Industry was also present in Kijów.Centrum and Krakow Technology Park. 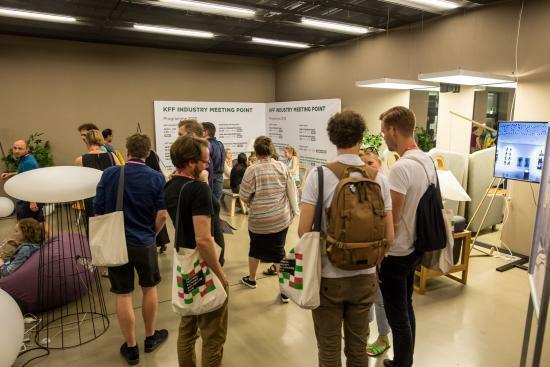 To this year's, twelfth edition of KFF Market, 1200 documentary, short and animated films were submitted, from among which the organisers chose about 250 films. The selection of the most interesting documentary films from Germany, Greece, Italy, Eastern and Central Europe was prepared by the partners: DOK Leipzig, Institute of Documentary Film, Thessaloniki International Documentary Film Festival and Festival dei Popoli. 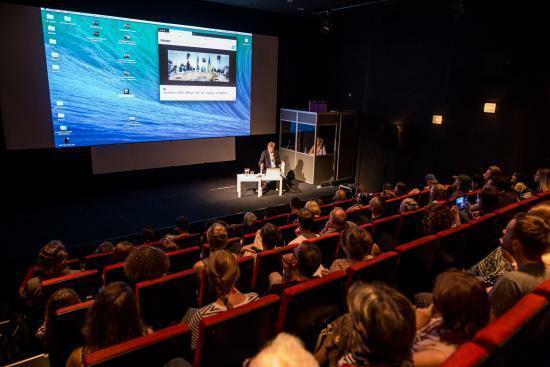 All qualified films were included in the market catalogue, and during the Festival, they could be watched in the digital video collection. This year, the films in the videolibrary were watched by 150 accredited guests, and among the users of Krakow Film Market, there were the festival programmers of such important festivals as: Venice IFF (Italy), DOK Leipzig (Germany), IDFA (The Netherlands), Visions du Reel (Switzerland), Cinema du Reel (France), Doclisboa IFF (Portugal), distributors and sales agents, as well as film experts and representatives of television channels. 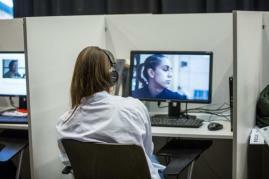 The films collected in the video collection were played a total of 1788 times. 63 films were played more than 10 times. The most frequently watched film - 33 times - was the animation "III" directed by Marta Pajek. This year's Animated in Poland formula followed the lead of the previous edition - the day before pitching, on May 28, all participants took part in a workshop preparing for the presentation of their projects, conducted by Wim Vanacker – the director of the Script Department at NISI MASA – European Network of Young Cinema, the co-ordinator of one of the most important short film pitchings – European Short Pitch and selector for the Official Short Film Competition of the Cannes FF. In this year's pitching session, moderated by Zofia Jaroszuk, participated five animated film projects at the stage of post-production. The award-winning project – The Land of Whim by Betina Bożek won the award in the form of a voucher for 10 days of sound post-production for the film, funded by the Sound Mind studio, established by Michał Fojcik, whereas the Special Mention funded by the Audiovisual Technology Center in the form of PLN 60,000 of non-cash contribution in the production of the film received the Red Light Train by Alicja Kot project. After the presentations, all participants took part in individual meetings with the representatives of film industry from abroad. 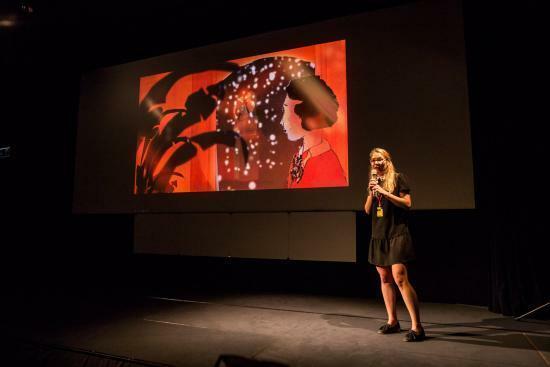 An event accompanying Animated in Poland was a discussion panel “It’s Short Time” organized in co-operation with the Munk Studio which celebrated 10th anniversary of its founding. During the meeting panellists – Wim Vanacker (Cannes Film Festival / European Short Pitch), Sarah Schlüssel (Berlinale IFF), Enrico Vannucci (Venice IFF), Christoph Bovermann (European Film Academy) and moderator Laurence Boyce (PÖFF Shorts) – discussed, among others about the current status of short film forms, platforms for the most effective propagation of them, and whether the current film market is conducive to short films and where to look for funds for such films. 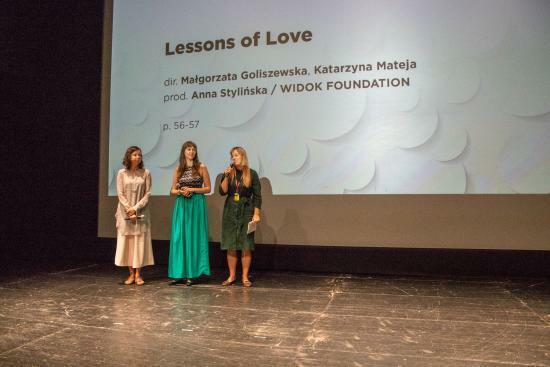 For the fourth time, within the frames of Krakow Film Festival, there were held the workshops DOC LAB POLAND (session II), co-organised by the Władysław Ślesicki Film Foundation. 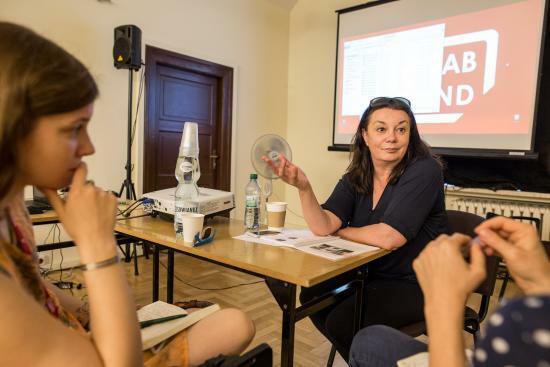 The participants of the workshops DOC LAB START under the guidance of tutors and experts - Leena Pasanen (DOK Leipzig), Daniel Salzwedel (ma.ja.de) and Rada Šešić (Sarajevo FF/IDFA) worked on the projects at the state of development. 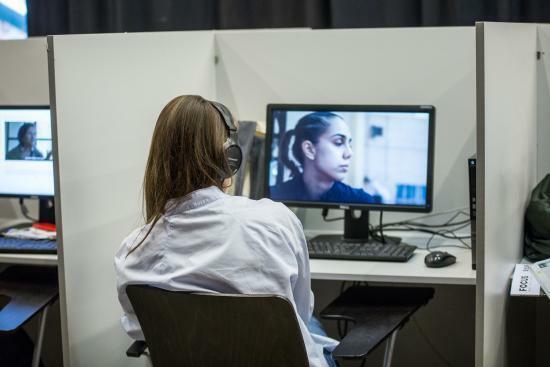 The participants of the workshops DOC LAB GO, in contrast, were supported by Stefan Kloos (Rise and Shine Film Sales) and Debra Zimmerman (Women Make Movies). 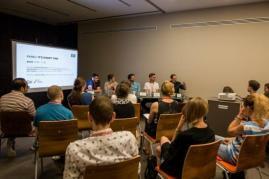 The culmination of the workshops were two pitching sessions: DOCS TO START and DOCS TO GO!. The pitching DOCS TO START is a presentation of film projects at the stage of development or first shooting. Its purpose is to acquire potential co-producers and funding, necessary to continue the making of the film. 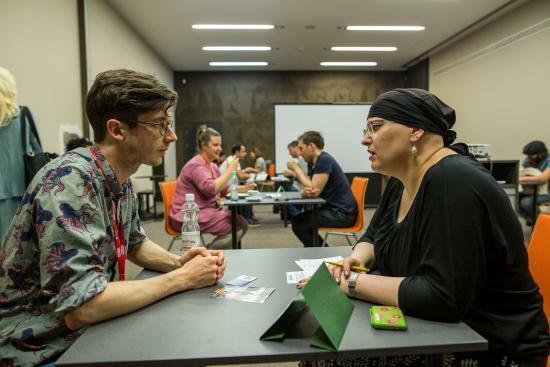 The participants showed their projects to producers, representatives of television channels, Regional Film Funds and institutions co-financing film production, but also to distributors and sales agents, and to the selectors from the most important festivals. 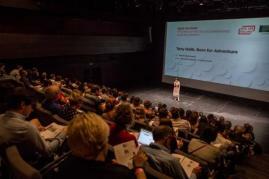 Within DOCS TO START, 13 projects were presented.The meeting was hosted by Rada Šešić. 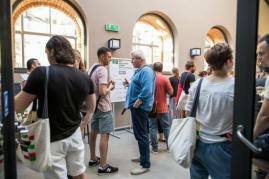 After the pitchings, the representatives of the projects had three-hour individual meetings with potential co-production and financing partners and the representatives of television channels, among others, Insel Film, Yuzu Productions, Corso Film, East Doc Platform, Emerging Producers, Pitching du reel, DOK Industry, ARTE, Current Time TV, TVP, HBO Europe. 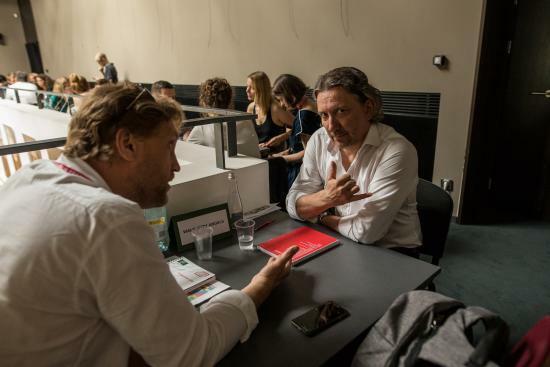 Pitching DOCS TO GO!, a joint initiative of Polish Film Institute and Krakow Film Foundation in co-operation with Władysław Ślesicki Film Foundation, was held in Krakow for the seventh time. The aim of the pitching is to promote and present the most interesting Polish documentary films in post-production, whose première will take place within the coming months. Producers and directors of the selected projects had a chance to show fragments of the assembly edits of their films and to talk about the production to the distributors, sales agents, representatives of television channels, programmers of film festivals and other experts and decision-making persons present at the meeting. Within the frames of DOCS TO GO! 8 projects were shown. The pitching was moderated by Debra Zimmerman. After the presentations, all representatives of the projects met with experts, festival selectors, distributors and sales agents. The following representatives were invited to the consultation: Open City Doc London (UK) , Visions du Réel (Switzerland), IDFA (The Netherlands) DOK Leipzig (Germany), Festival dei Popoli (Italy), Doc Lisboa (Portugal), Cats&Docs (France), Deckert Distribution (Germany), Sindicado (Canada), Visible Film (Belgium), Doc Incubator (Czech Republic). 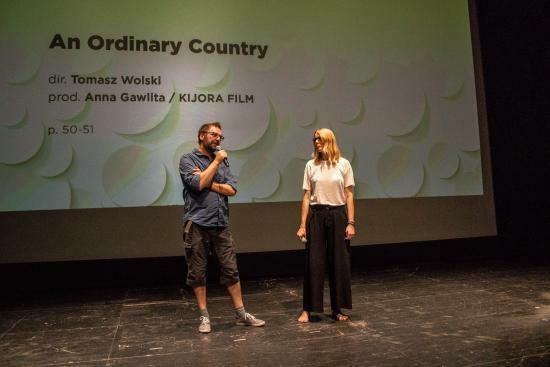 For the third time, within the frames of Krakow Film Festival, there were organised closed industry screenings for foreign distributors, showing the latest Polish documentary films, which had their world premières at Krakow Film Festival or were still before their premières. This year's screenings DOCS TO BUY included 7 films. The representatives of the film had a chance to meet VOD and online distributors: Doc Alliance Films (Czech Republic), Pantaflix (Germany), FilmDoo (Australia), FilmIn (Spain), Preciosa MMedia (Colombia). The special guest of this year's 58th edition of the Krakow Film Festival was Estonian cinematography. The program "Focus on Estonia" included screenings of the latest Estonian documentary, short and animated films. An important industry event of the section was the conference Focus on Estonia held at the Krakow Technology Park, which main axis was the presentation of the model of Estonian cinema – starting from the most important Estonian films and directors, through film institutions and festivals, ending with the production and financing of documentary films. The conference was divided into two thematic panels. In the first one - concerning the Estonian film landscape – attending panellists were: Priit Pärn (Estonian Academy of Arts: Animation Department), Priit Tender (Festiwal PÖFF Shorts), Riho Västrik (Baltic Film, Media, Arts and Communication School/Vesilind), Filipp Kruusvall (DocPoint Tallinn), in the second panel - concerning the production and financing of documentary films in Estonia – attending panellists included: Kaarel Kuurmaa (Estonian Film Institute), Karlo Funk (Estonian Public Broadcasting), Marianna Kaat (Baltic Film Production). The event was moderated by Laurence Boyce (Festival Black Nights – PÖFF). The accompanying event of the Conference was co-organized by the Wladyslaw Slesicki Film Foundation – Doc Lab Poland Co-production Market - international co-production meetings for invited producers, including producers from Estonia. During almost all day meetings, Polish producers had the opportunity to talk to partners from Germany, the Czech Republic, Spain, Russia, Finland, Ukraine, Hungary, Belarus and Georgia. In addition to individual meetings in the one-on-one formula, there were held presentations on the possibilities of co-production with Germany or France, cooperation with TVP or ARTE, as well as on bringing closer the American model of documentary film distribution based on the example of Women Make Movies – an organization led by Debra Zimmerman. Participation in the meetings was confirmed by sales agents, distributors, film commissions, commissioning editors, funds and representatives of pitching forums from around the world. The partner of the Conference was Krakow Technology Park and the Market’s partners were Krakow Technology Park and TVP. Focus on Estonia's partners were: Estonian Film Institute, Embassy of Estonia in Warsaw, Estonia 100. During the master class Sergei Loznitsa talked about his style of work which oscillates between documentary and feature movie directing. Since he managed to accomplish balance and integrity in different genres, he would tell participants how to use right means, such as minimalized editing, static and long takes or non-creative, diegetic soundtrack, in order to obtain an authentic image. Apparent was a general discussion about status of the director and his invisible inherence in created art piece. In the contex of documentary filmmaking, Loznitsa explained reasonable use of archival footage, as well as one’s own life experiences. In addition, the Dragon Dragoon Laureate showed excerpts of his movies step by step explaining how he translates documentary videos into a fictitious image. Two panel discussions co-organized by the Krakow Film Festival and Film Music Festival in Krakow took place at Krzysztofory Palace. Participants of the first panel - Legal aspects of using music in a film – were: Michał Woźniak, composer who created the music for the films including “All About My Parents”, “Pan T.” and “Manhunt”, radio presenter, musician, sound engineer and music producer, Petro Aleksowski and Michał Jacaszek (director and composer of the film “Aborted Mission”, presented in the Polish Panorama section of 58th Krakow FF), Maciej Bochniak and Mikołaj Pokromski (director and producer of the film „Ethiopiques – revolt of the soul”, presented in the DocFilmMusic Competition of 58th Krakow FF). During the event there were taken topics related to licenses, using music in the form of quotations, contact with ZAIKS and contracts with musicians in the light of the latest case law. The event was hosted by lawyer Marcin Lassota. When it comes to the second panel - Music in documentary film: expectations vs. ambitions - the guests invited to the discussion were: Petro Aleksowski and Michał Jacaszek (director and composer of the film “Aborted Mission”, presented in the Polish Panorama section of 58th Krakow FF) and Marta Prus, Maciej Kubicki and Mikołaj Stroiński (director, producer and composer of the film “Over the Limit”, presented in the National Competition and International Documentary Film Competition of 58th Krakow FF). The event was hosted by Dagmara Romanowska. During the Festival, from Monday to Friday, in the Festival Centre, there were held KFF Industry meetings - individual meetings (one-on-one) with the guests from the film industry, present at Krakow Film Festival (distributors, sales agents, buyers, festival programmers, experts, consultants). The meetings were addressed to producers, filmmakers and other professionals, involved in film promotion and had the form of max. 10-minute consultations. 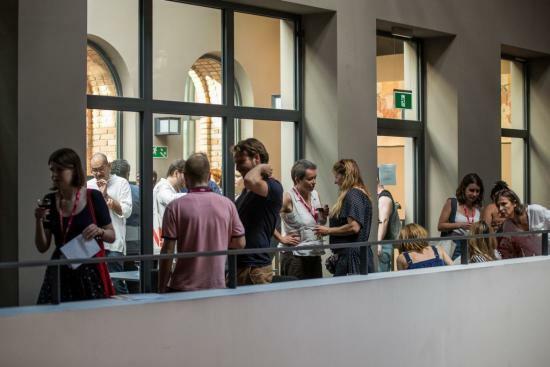 After the hour-long meetings, the participants headed upstairs, in order to continue their discussions in a less formal atmosphere, with a glass of wine, at KFF Industry Drink – organised in co-operation with: SPPA, Munk Studio, Krakow Film Foundation, Pitch the Doc and FILM PRO.